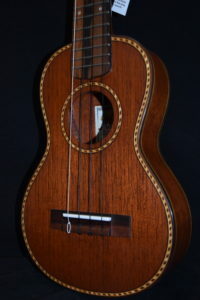 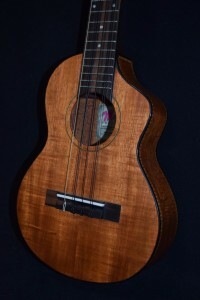 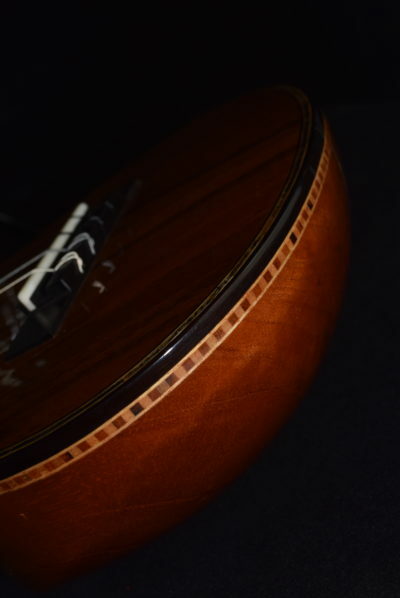 Round-backed fretted instruments have been popular since Medieval and Renaissance times (lutes, mandolins, charangos, etc) for some of the unique qualities they offer, but until Ovation came out with their famous round-backed line of instruments, nobody had made a round-backed ukulele. 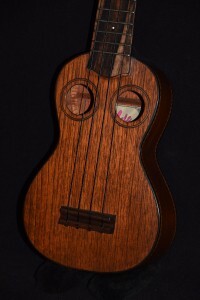 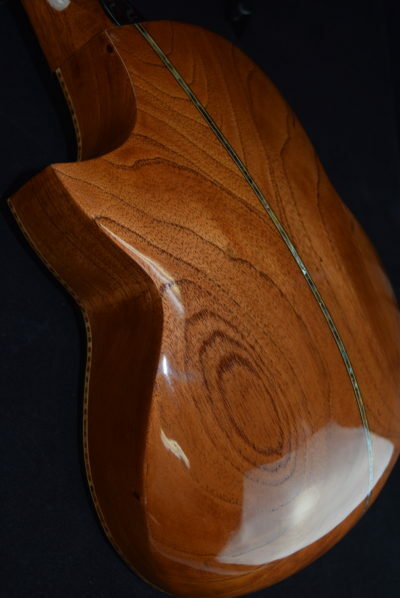 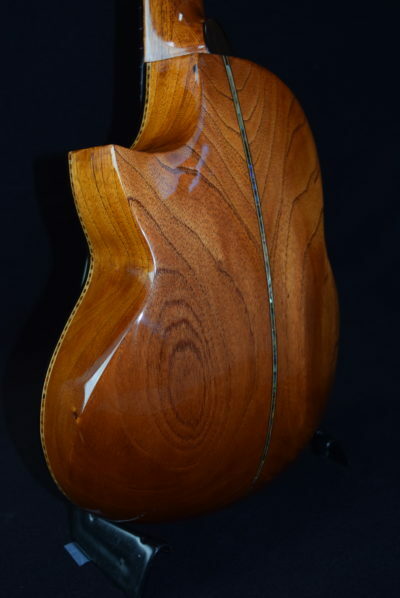 One of our luthiers has decided to make a few round-backed ukuleles with a “bowl” back hand-carved from solid mahogany, and the result is an instrument that projects like crazy and has its own unique tonal signature. 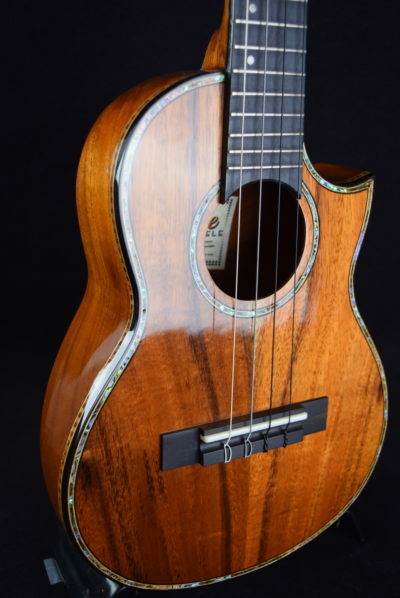 The solid koa top imparts a sweet airiness to the highs that balances the powerful mid-range “punch” provided by the parabolic nature of the body. 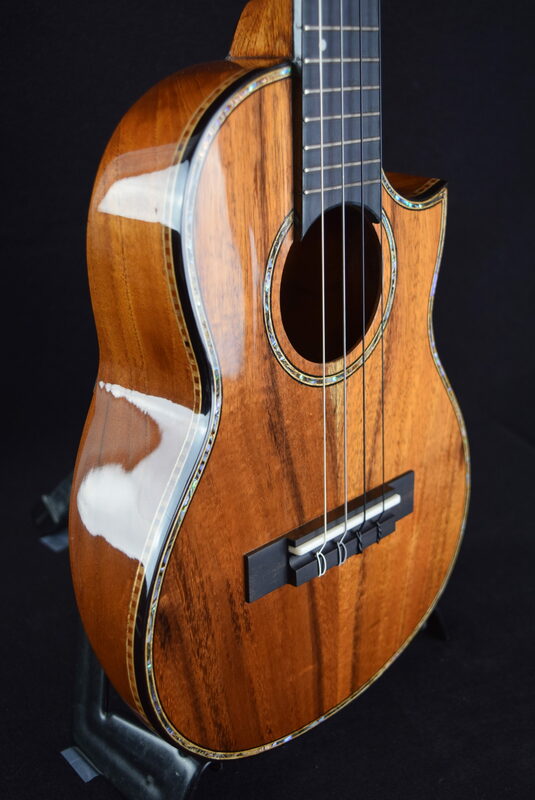 Because these are one-of-a-kind instruments, we’ve decided to make each one deluxe and special, with some really beautiful paua and wood hand inlay work and a thin but high-gloss finish of nitrocellulose lacquer, just like high-end handmade guitars going for $10K and up! 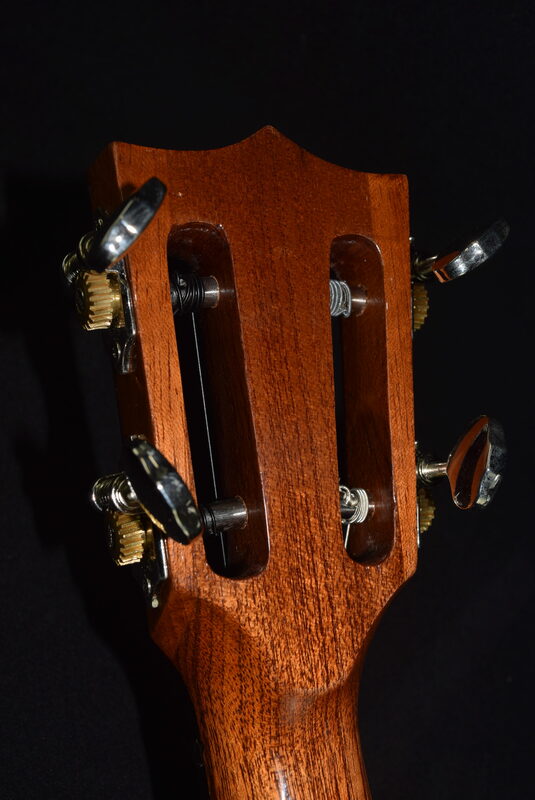 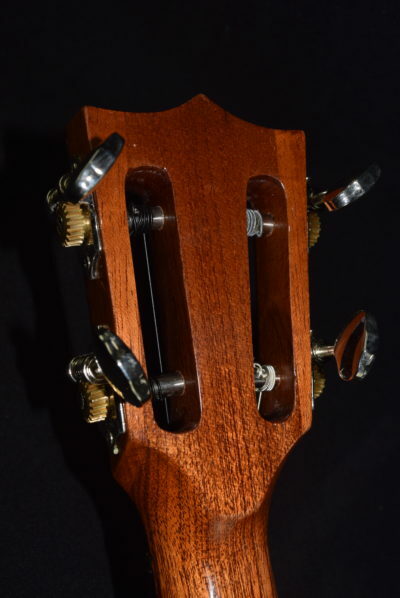 This one, in tenor size #RB1 , has a special headstock design, somewhat resembling the ones on the Ovation roundbacks, and we have used super-hard top-quality ebony wood for the fingerboard, binding, bridge and nut. 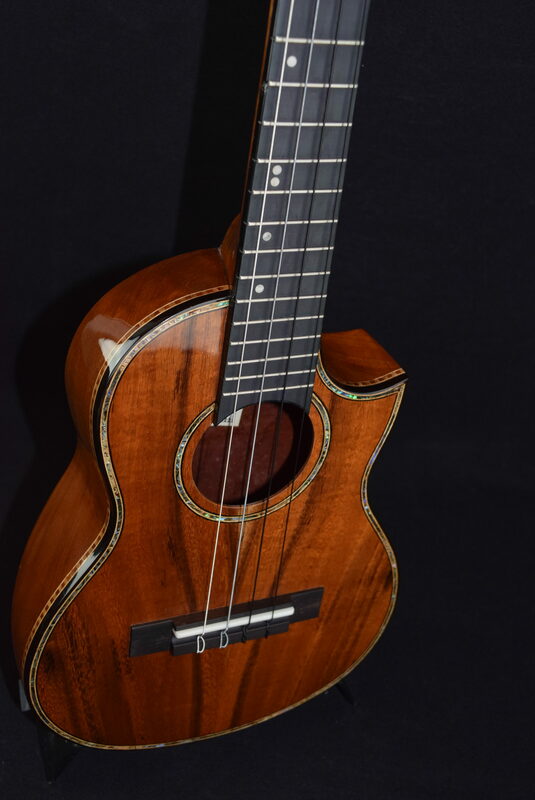 For a sound that will get heard at the kanikapila or in concert, and a look that will get noticed and admired, this uke stands out from all the rest! 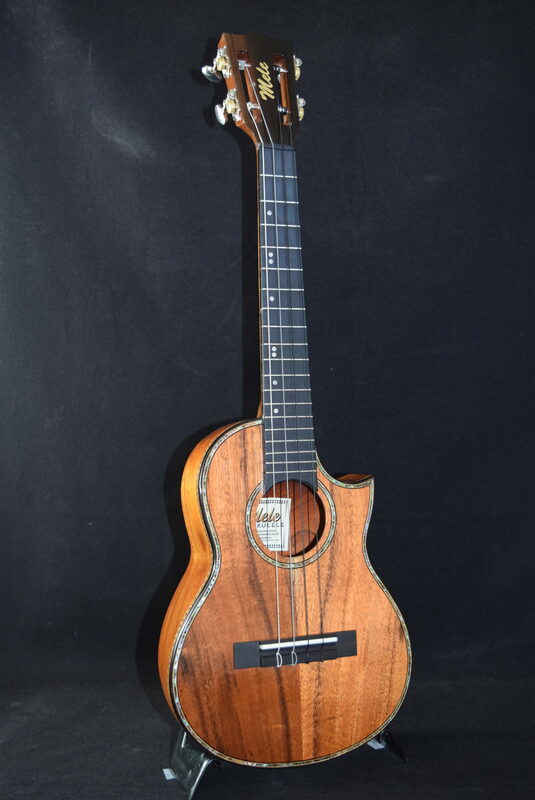 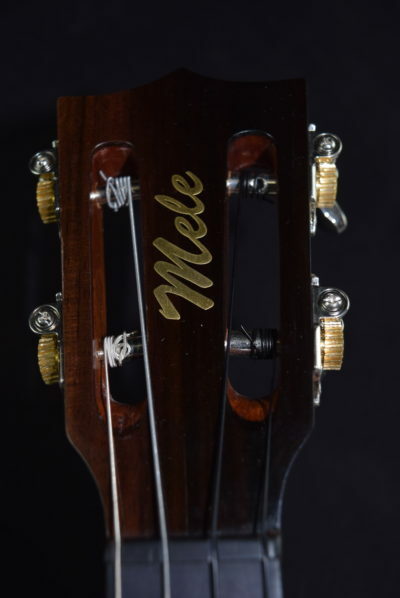 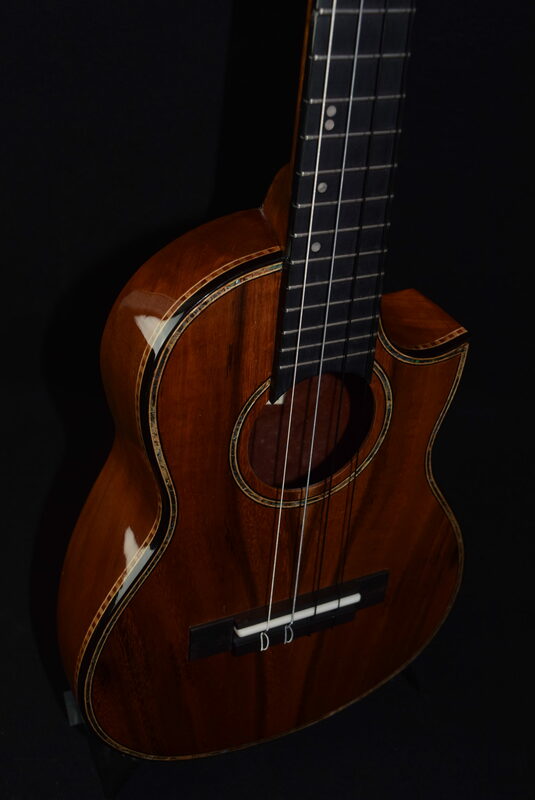 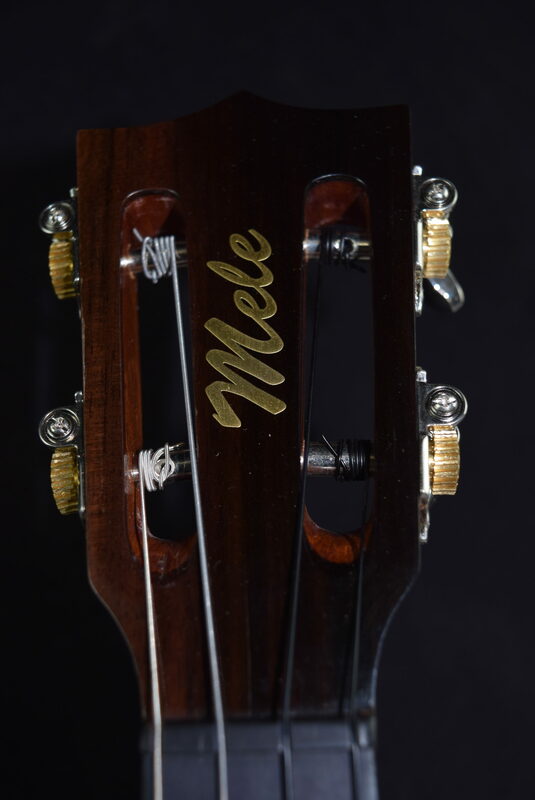 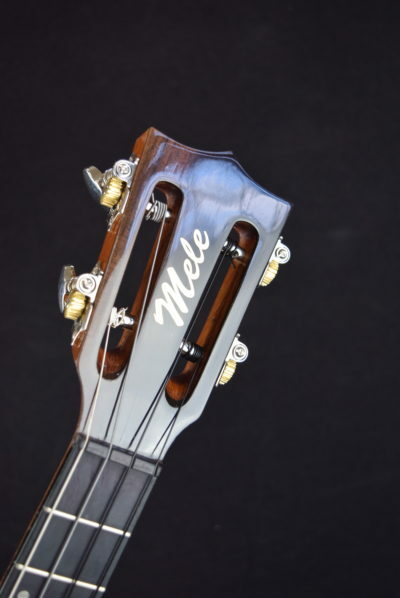 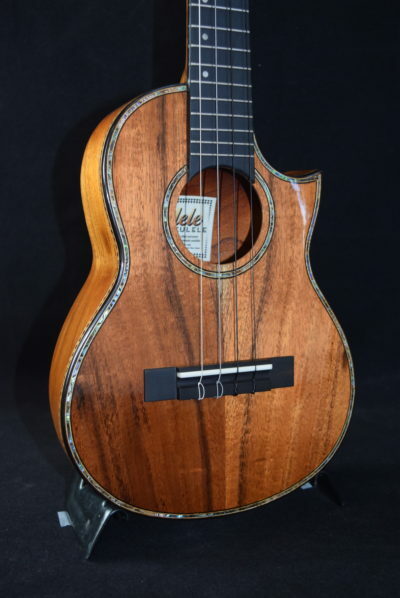 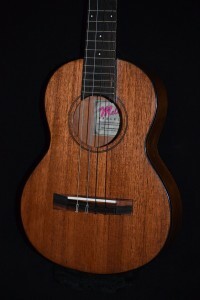 SKU: mele-round-back-koa-top-cutaway-tenor-4-with-abalone-shell-inlay-529 Categories: Mele Ukuleles, Tenor, Hot Deals!